JAQUELYN’S TOP WRITING TIP: Get a clear vision for what sort of author you w ant to be (which should be mostly driven by what you love to write). This helps to keep you focused on what you need to be doing. It is very easy to get caught running in circles thinking you have to do everything. This will have you exhausted and frustrated within six months. 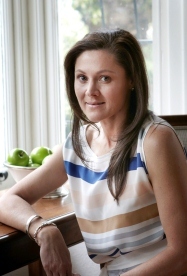 Jaquelyn Muller experienced a typical 1970s childhood and moved frequently up and down the east coast of Australia in a two-toned Ford Falcon with no air conditioning. While the tape deck continually spat out hits from the Saturday Night Fever soundtrack, Jaquelyn retreated to reading and writing from the back seat of the car. After university Jaquelyn spent the next 20 years in publishing, marketing, and digital consulting. Now daydreams through the office window are put to better use and weaved into tales she hopes brings moments enjoyed through her children’s books. Inspired by the thousands of fearless authors and illustrators, who at some point were prepared to ‘have a go’, Jaquelyn released her first early childhood picture book, I Love You 5 Lollipops in May 2013 and has reprised the Elizabeth Rose character in the just released follow up book, Elizabeth Rose on Parade. Why do you write? Because if I don’t my family will send me away! They think I am less nuts when I have a constructive path to channel my energy into. What would you be doing if you weren’t a writer? I have always been in publishing in some form or another so if I couldn’t write my own books, then publishing the work of others would be the next best thing. I love the creative process and bringing concepts to life. I am also a stationary nerd and I love paper! However if you really must know my deep dark secret, playing electric guitar in a band would have to be one of the wishes I would pick if I ever got three from a genie! What was your toughest obstacle to becoming published? Learning the process and understanding all the moving parts. There are so many details that you have to get across as well as setting up the business side of things, which will always gate crash any creative party! What’s the best aspect of your writing life? The reactions of the kids to my books. Hearing that they insist on reading my books over and over or they have memorised them off by heart or that they want to become authors when they grow up is such a wonderful feeling. I still get so overwhelmed by those reactions; I think they are talking about someone else. —the worst? The admin side of running a business. There is just something very wrong with anyone that enjoys that. What would you do differently if you were starting out now as a writer? Nothing. I am doing things today that I never thought I would do and success for everyone is different. I love all the production and marketing side of the publishing business as well as the writing, so for me I have found my happy balance and you only get that by trial and error. Other authors may find that if they aren’t writing six hours a day then they aren’t achieving. It’s a very different landscape for everyone. The great thing is that you don’t have to retire from writing so if you look at it as a long term career then you can get it all done, whatever ‘done’ means to you. What do you wish you’d been told before you set out to become an author? I think a realistic view of the ‘other work’ you need to do other than actually writing would have been helpful. By other work I mean blogging, updating online profiles, running competitions, writing book reviews for other authors, attending literary events, planning and executing book launches and school and library visits – it is endless. What’s the best advice you were ever given? It’s a marathon not a sprint. Listen to the experiences of other writers both well-known and emerging. Listening to others helps you put your own ups and downs into perspective. The excitement is building, and everyone is ready. Another extraordinary performance in the Big Top is about to commence and who better to lead the parade than Elizabeth Rose! 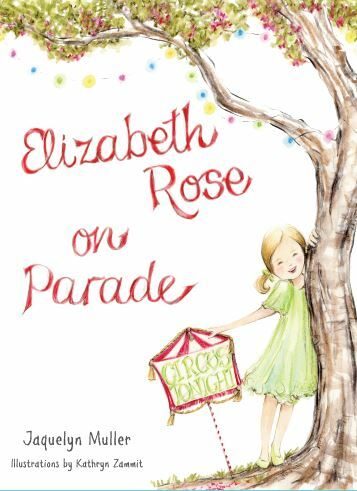 More fabulous than fairy lights, Elizabeth Rose may be only small, but she shines, beams and sparkles like no one else! Available from www.jmullerbooks.com/shop and other outlets including Amazon, Booktopia, The Book Depository. Where would authors be without book reviewers? If you’re passionate about all things bookish, Write Note Reviews is the site for you. Monique’s reviews are always well considered and insightful and she complements them by adding a ‘matched’ food treat. As a book reader and food enthusiast in no particular order, I’ve always thought books and food go well together. For me, it all started with popcorn … eating a bowl of popcorn and reading at the same time. Write Note Reviews combines these two loves with two more – writing and photography. My book reviews (from 2013 onwards) are complemented by a suggested food treat that “matches” the book. But really, the site is just a way for me to immerse myself in the world of books in a way that suits me best. What prompted the creation of Write Note Reviews? PIXI’S TOP WRITING TIP: Just do it; tap into the whole on-line experience; and remember that art for art’s sake is all well and good, but writing is like the performing arts and without an audience (reader) the art work is only half complete. 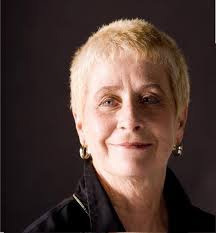 Pixi Robertson spent many years working on circuses in Europe and Australia before retiring in 2013 and putting her energy into writing her first novel. 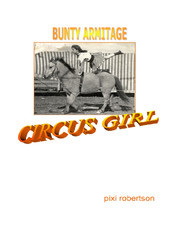 Aimed at young adults, Bunty Armitage Circus Girl is a time-travelling tale about a girl who is cast into circus life in regional and outback Western Australia in the 1890s.Using a mix of first and third-person narrative, film scripts, old photographs, post-cards and newspaper articles, the novel was inspired by tales Pixi heard from real-life Australian circus heroine, Evelyn Hyland Coverly. Evelyn travelled the state in her family’s horse-drawn tent show, Hyland’s Circus. The road to publishing was not easy for Pixi, who self-published the novel through Lulu.com, after finding regular publishing channels difficult to breach. “I knew I had a great story here that I wanted to share with young readers, and this seemed like a really good way to get my novel out there,” she said. Why do you write? Writing is a door-way to another life, both for the writer and the reader. Writing and reading allow me to live more lives than I could possibly fit into this life-time. For me, as you can see, writing and reading are inextricably linked. I don’t “plot” a story, just go with the flow and the excitement of discovery as the characters and plot develop is a never-ending pleasure. What would you be doing if you weren’t a writer? Hmm … interesting, as I am officially “retired”. A professional traveller, perhaps? What was your toughest obstacle to becoming published? Ah, that’s a good question. Without putting too many noses out of join, I hope, the greatest obstacles have been the “gate-keepers” of the publishing industry. Getting a publisher to actually accept, or even read an ms, seems like Mission Impossible, and if you have no track record most agents are not even interested in talking to you. Ask me another …! What’s the best aspect of your writing life? Fun, absolute indulgence. —the worst? Dare I say it again – getting through the gate-keepers. What would you do differently if you were starting out now as a writer? Get a job in publishing, get to know the people who have some clout. What do you wish you’d been told before you set out to become an author? See above. What’s the best advice you were ever given? To paraphrase the great American comedian, George Burns: “Have a good publicity pic and always be on time for auditions/interviews”. BOOK BYTE “Hey!” I called after him, “Do you and Lulu really meet at the pirate cave?” Alfie turned, a cheeky grin on his face. I didn’t hear his reply. I walked towards him, my hand reaching out to catch him by the arm. I walked straight through him. I walked through the fire and the pot of stew. My outstretched hand banged into something hard. It was a mirror. I could see my reflection and behind me stood Mrs D, her mouth full of pins.” What is going on? When Bunty Armitage wins the coveted TV role of Lulu Ireland, an early 20th century circus girl touring outback Australia, things just aren’t what they seem to be. What is the mystery of the faded trapeze costume? Just what is Bunty’s connection to Lulu? And can she really be in love with somebody who lived 100 years ago? The book is available from Lulu.com as a paperback or ebook. Sandi Parsons, reader, writer and storyteller. Just Write For Kids is an online group of writers and illustrators, with a distinct focus on advocating Australian children's literature.